East Oxford started to become a suburb of Oxford City in the mid-nineteenth century when the area was being developed by a number of new landowners. Previously the area had been orchards and fields. People were moving to live in cities as generally more opportunities for work existed in urban, rather than rural, areas. 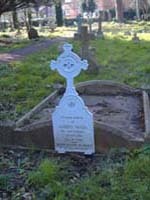 Father Benson had been appointed as the vicar of St James in Cowley in 1850 and his parish included the developing east Oxford area (some early residents from east Oxford were buried in Cowley St James churchyard). 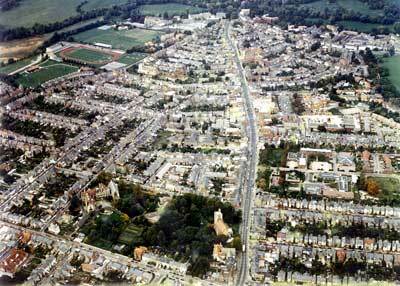 Father Benson saw the need to develop services for this increasing local population and eventually moved to live on the Iffley Road. One of his first projects was to establish the "Iron Church" in Stockmore Street in October 1859. 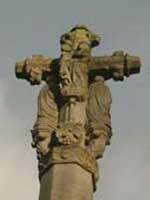 Ten years later in 1869 he became the first vicar of the newly established Cowley St John parish. 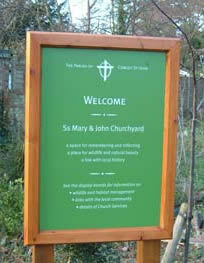 Ss Mary & John Churchyard was consecrated on the 1st October 1878 by the Lord Bishop of the Diocese. His address is described in the parish magazine published later in the month. The following extract refers to the problems of burial space, and to the hopes vested in the churchyard that it would become a special place for local people - a place of thankfulness and remembrance. [The Bishop referred to the]". many differences and controversies about burial grounds, ... which divided men, and caused a good deal of bitterness and discontent all over the country. ... But everything had been done to obviate all the difficulties of that question here, for there was an ample piece of ground for those who desired to make use of it, and yet were outside the church, and no person could complain that he had been neglected. Then as there had been difficulties hitherto about church grounds, it had been provided that the care and control of this churchyard should be in the hands of persons who could deal with every case according to its needs, and who would not be fettered by conditions and circumstances which applied to the older burying places. In fact, provision had been made, thoughtfully and carefully made, to meet all the difficulties on one side and on the other, which had grown up about this burials question. He was also very glad that the ground ... was laid out with so much care and taste, ... [so that] those who lived about it [could] make it a place of resort. By and bye they would wish to visit the graves of those who were buried there, not in a spirit of gloominess, but in a spirit of thankfulness, not of cheerfulness, perhaps, but with thankful, happy, and quiet remembrance of the departed, and hope for the future. He hoped to see the ground laid out, with flowers and shrubs all in their order, so that they may go in the summer time and walk up and down there, and enjoy themselves with many happy thoughts, amid all the memories of the past. It seemed to him that a well-kept churchyard was one of the best outward proofs of the cultivation and good feeling of the people of the place." 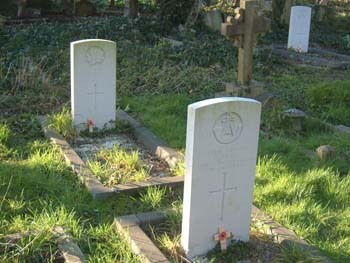 The churchyard was a crucial facility for the people of east Oxford. 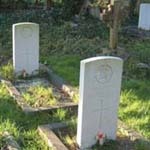 We can gain an insight into the way people lived in the nineteenth and early twentiethcenturies by investigating the inscriptions on the memorials and grave markers. Those buried in the graves are representative of the local population and the inscriptions give a clue as to personal contributions to the life of the community, personal circumstances, organizations and occupations. There is a separate section (H) in the churchyard for non-conformists. A Bourdillon, A Survey of the Social Services in the Oxford District II Local Administration in a Changing Area , (Oxford: OUP, 1940). MA Crowther, The Workhouse System - the history of an English social institution, (London: Batsford Academic and Educational Ltd, London, 1981). Malcolm Graham & Laurence Waters, Cowley & East Oxford, Past & Present, (Stroud: Sutton Publishing, 2002). Malcolm Graham, Images of Victorian Oxford, (Stroud: Alan Sutton, 1992). Peter Mayhew, All Saints: Birth and Growth of a Community, Society of All Saints, (Oxford, 1987). Jessie Parfitt, The Health of a City, (Oxford: The Amate Press, Oxford, 1987). Annie Skinner, Cowley Road, A History, (Oxford: Signal, Oxford, 2005). M V Woodgate, Father Benson, Founder of the Cowley Fathers, (London: Geoffrey Bles, 1953).